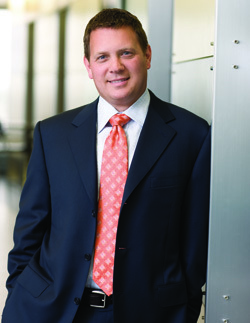 Bob Morgan is co-founder and chief executive officer of MorganFranklin. Since MorganFranklin was founded, Morgan has been responsible for directing corporate strategies and leading the company from a startup to a mature organization with global reach. Morgan's primary focus is developing strategies to grow and improve the company while ensuring that the MorganFranklin team is aligned with the vision of surpassing clients' expectations and achieving workplace excellence. Morgan's areas of expertise include strategy, organizational design, marketing and communication, and solutions development. Prior to forming MorganFranklin, Morgan served as a program manager at the Naval Air Warfare Center Aircraft Division, managing multimillion-dollar systems integration programs for the U.S. Navy, the White House Communications Agency, Special Operations Forces, the Los Alamos National Laboratory, and the Federal Bureau of Investigation. His experience encompasses the implementation of fixed-site, mobile, and transportable secure communication and IT systems. An active member of his community, Morgan serves on the board of directors for the Greater Washington Board of Trade, as well as the advisory board of the Penn State College of Information Sciences and Technology. He also previously served on the board of directors of the Greater Washington Area American Heart Association. Morgan is a graduate of the College of Engineering at Penn State with a B.S. in electrical engineering, and a graduate of the Florida Institute of Technology with an MBA. Morgan will present on Wednesday, March 20 from 6:00 p.m. - 9:00 p.m. in the Business Building Atrium.